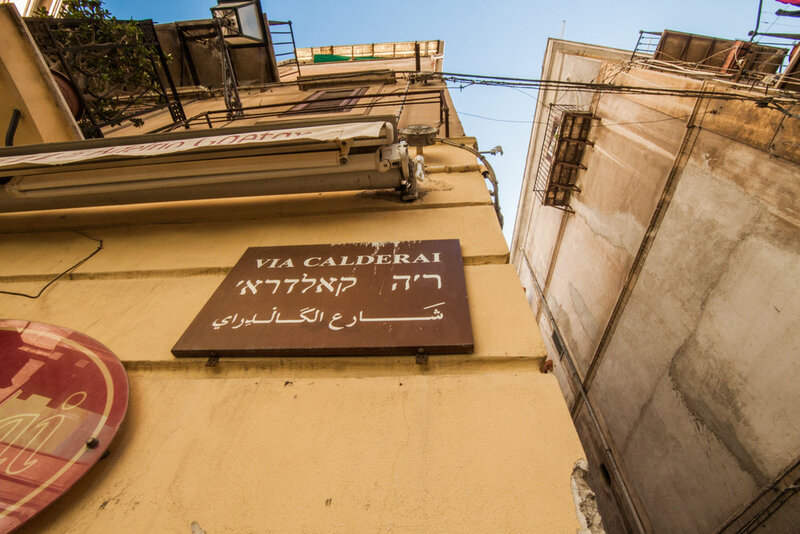 Officine Calderai is a micro museum of metal works located on a small street of the same name, nestled in the Jewish quarter, in the historical centre of Palermo. 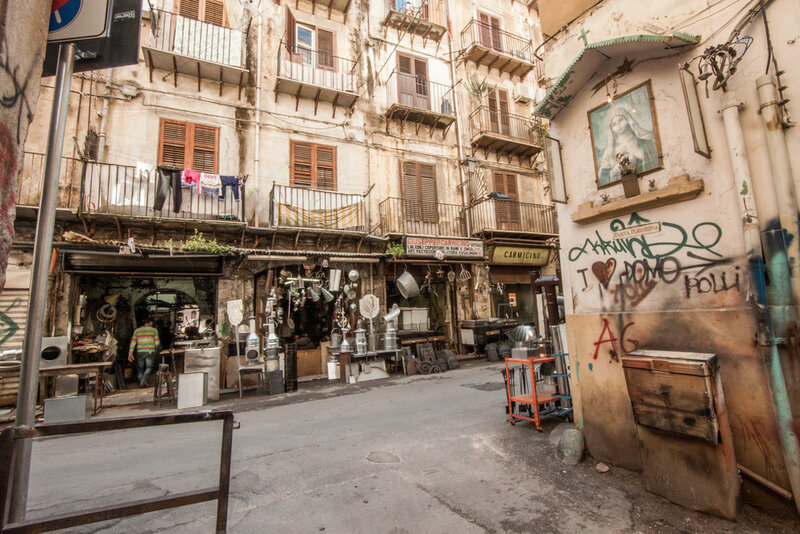 The “calderai”, o “quarara” (the furnace, in Sicilian dialect), are craftsmen specialized in the production of braziers, pans, pots and other cooking tools made from copper, aluminium, steel, who had and have their workshops in this street. Unlike the city’s other artisanal streets, this is one of the few that still retains its ancient vocation. In particular, the space that hosts the Officine Calderai micro museum has always been the nerve centre of the craft district: it was the workshop of Nino Ciminna, the oldest craftsman in the street specialized in welding, for many he was a master and after his death in 2015 his workshop closed and remained abandoned. Officine Calderai’s mission is to reopen this historic workshop, now empty from machinery but still full of memories, and to transform it into a place that conserves, exhibits and promotes this heritage that remains an important expression of the material culture of Palermo, and that risks disappearing. In the belief that to preserve all the knowledge and technical details that underlie an object, it is not enough to conserve its visible aspects, but instead requires the constant comparison of the values of this "knowledge" with the identity of the present, continually updating its roles and meanings, the micro museum displays products inspired by the past but designed and made in the present. The collection is conceived as a catalogue of small series of metal tools designed by national and international designers, inspired by tradition but rethought as a contemporary experimentation of shapes, functions, details, finishes or production technologies, and created by the excellent workers of via Calderai. The exhibited items are prototypes that can be purchased at the museum and will be produced on request. 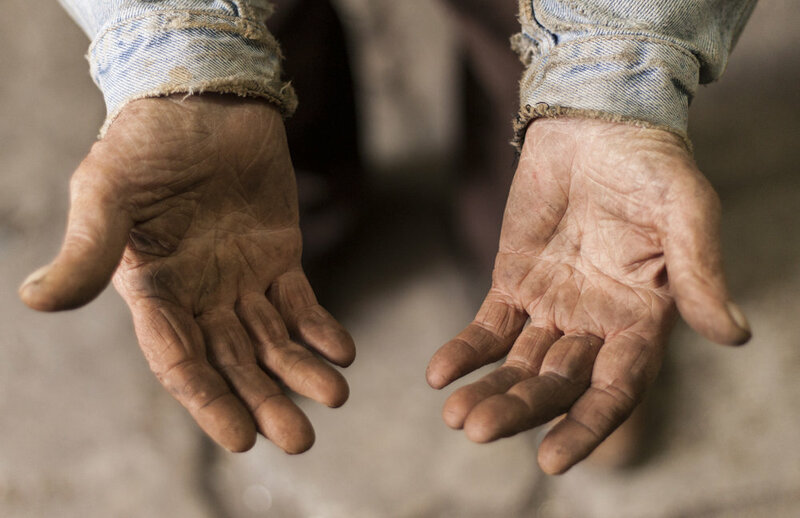 In this way, not only the artefacts shown, but also the craftsmen themselves become a direct testimony of the local cultural heritage. Through the involvement of a diverse range of designers with different experiences, we intend to favour the development of an innovative process that enriches the canons of the inherited tradition and re-launches the craftsmanship of the street.